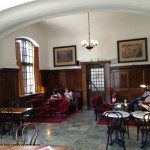 Sweden – A Starbucks in the Train Station. 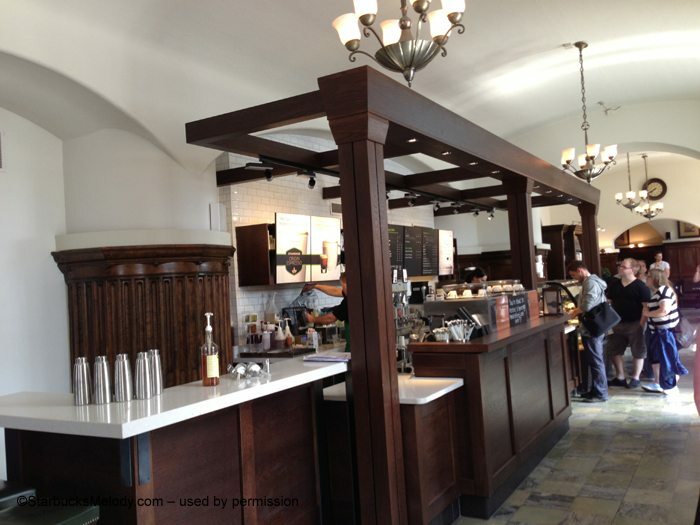 In case I haven’t mentioned it, I like receiving emails with lots of photos of a beautiful Starbucks store. It’s really fun to see what Starbucks is doing around the world. I realize that I am not going to get to all of these amazing places, and so I am thankful when you bring them to me. My apologies that I don’t have the quote verbatim, nor the exact attribution. But, I leave you with that thought. To me, it means that you find a piece of 1912 Pike Place Starbucks in every Starbucks you visit, and there is consistency in knowing you will meet friendly baristas, and have a great beverage. What does it mean to you? 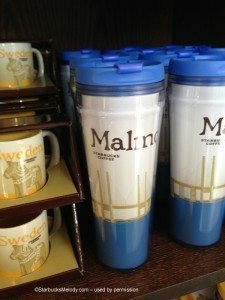 I saw this photo and thought how great it would be to have a Sweden icon mug for my collection! The sturdy mug with the yellow interior definitely caught my attention! I really do like this ‘global icon’ series of coffee mugs, which are slowly being phased out in favor of the ‘You Are Here’ series of coffee mugs. 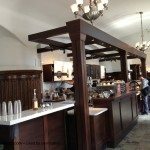 If you enjoy looking at Starbucks all over the world, I recommend you peruse some of the older blog articles on this site, now a couple of years old. Reader Sebastian Birr had emailed me these great photos of Starbucks in Instanbul, which still amaze me how beautiful they are. 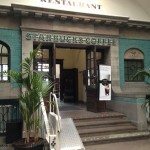 This too is a very old article, but the Starbucks store featured in it, in Mexico, looks like a wonderful place to relax with a cup of coffee. A few years ago, a friend of mine went on a vacation to Aruba and took these great pictures. Who wouldn’t want a Starbucks right on the water? 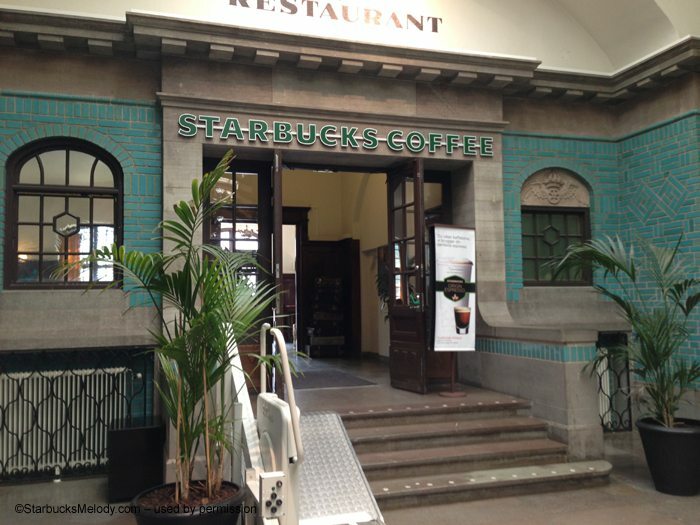 And more recently, a reader emailed in these great photos of a Starbucks in Copenhagen. And by the way, I will definitely feature U.S. Starbucks stores too! 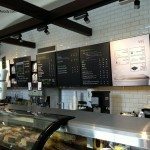 About two months ago, I received an email full of stunningly great pictures featuring a Starbucks in Atlanta, Georgia! I know that some partners still are unsure of the Starbucks photo policy. 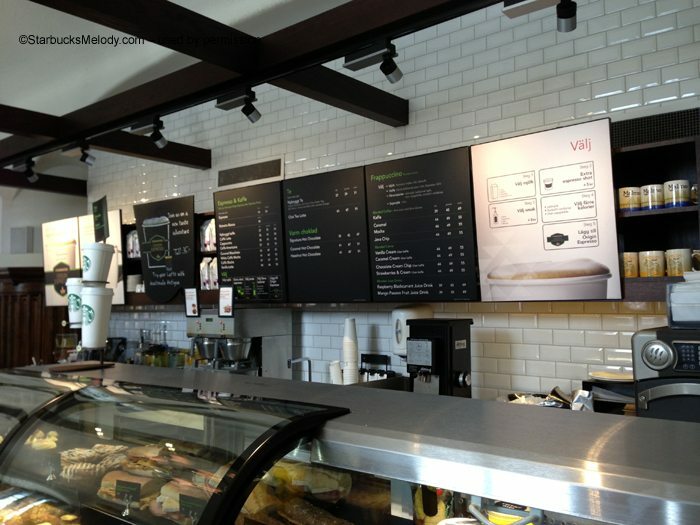 The Starbucks photo policy has become extremely friendly towards photos in stores – you can take pictures inside a store. From what I recall, the policy began to go through a major overhaul about the same time that Starbucks Instagram took off. In any case, to be clear, at the moment I am referring to the U.S. policy about photos in stores. I’m not sure what the international policies are. I talked about the details of the Starbucks photo policy in this article about a Clover Starbucks in Denver. Starbucks in Sofia, Bulgaria: The 5th store. Melody, I don’t know if it was the quote you were looking for, but Shultz mentioned a similar idea in his book, Onward. Unfortunately, I have the audio CD, so can’t really skim through it to find the exact quote, but Amazon seems to allude to the idea around page 79ish? @BobSmith – I have a copy of Onward handy, and just was skimming it but couldn’t find quote – but I think you are right – I must’ve read it in Onward. ?? I dont have time at the moment to carefully look through Onward. Oh wow, the woodwork is stunning at this Sweden Starbucks. 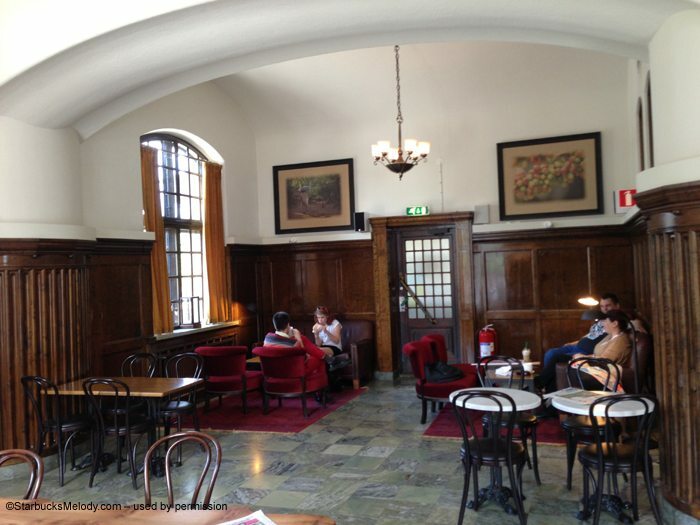 The decor is quite inviting and somewhat reminds me of university style libraries or independent bookstores. Very warm and cozy. Also, I agree with your interpretation of the quote you shared. Whenever I travel, I do like to visit local mom & pop style coffeehouses, but it’s always nice to see the green and white siren sign, knowing that I’ll be able to enjoy a favorite handcrafted beverage and the familiar Starbucks setting. How cool that your international readers are sharing these pictures with you! This store does look beautiful, and so inviting and comfortable. I’m thinking I would love to be in this store in the winter. Very cozy and warm looking. As an aside, I also believe that quite is in “Onward” but, not so easy to find. Thanks to the reader in Sweden who sent you these pics! oh….I agree about the cups: the “You Are Here” cups are an odd size, altho the Chicago one is nicely done…but they really seem more a ‘soup’ shape cup as opposed to coffee. But, just another change. @Denise – That’s interesting – I think the YAH mugs are a bit “soup” shaped, but I hadn’t thought of that until you mentioned it. 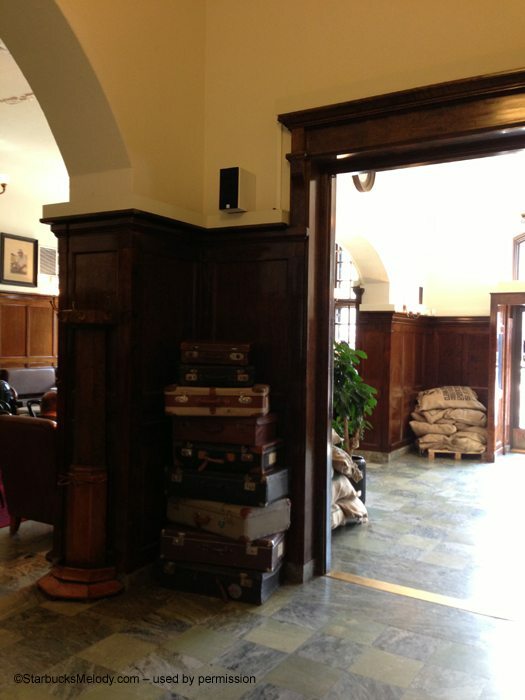 @Kristina – It does look like a library, not a train station. Just from the photos, I would have no idea that there might be trains anywhere nearby. ? Hi, These are my pictures that I emailed Melody. 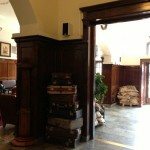 I think that the store was previously a restaurant in the train station, it was quite far away from the platforms. It was a lovely store and the staff had a lovely vibe to them. I wish i had bought one of the Sweden mugs, they were beautiful! How fun, my brother lives in Malmo, looks like he needs to send me a mug! I always enjoy seeing how the food offerings differ at Starbucks in other countries. One of the things I love about Starbucks, and there are hundreds, is how Starbucks really tries to localize the Starbucks experience to the extent it can. That goes for store design as well. This is an amazing looking store. I feel like making the journey to Sweden if for no other reason than to visit this store… and try the food.